No reason to claim the dog ate your homework or an alien abducted your notes -- for this math assignment, you'll be the grader! You're the teacher, at least for this worksheet, and you'll get to decide if these answers are worthy of an A ... or not. 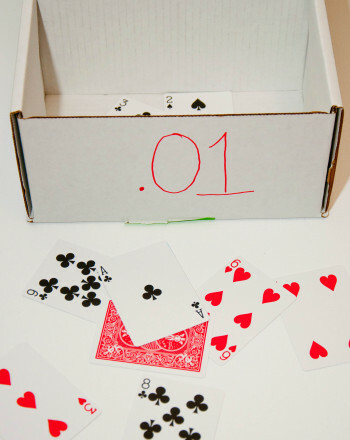 Toss playing cards into boxes while you practice addition and multiplication with decimals in this fun, fourth grade math game. Can you help find the sign that makes each equation true? Before you say "go," offer encouragement as they embrace this challenge! Are you a multiplication ninja? Flex your mind with these times tables that focus on multiplying by 7. How fast can you zip through these multiplication problems? Practice multiplying by 8 as quick as a ninja! Football stars, here's a math sheet for you! This times table practice sheet will help polish your child's multiplication skills. Do you remember your greater than or less than signs? Give your student some great practice solving long multiplication with this math worksheet.